I have to change my language option very often. It is hard when I write something with combination of both "English" & "Bangla", because I have to change that option rapidly. Is there any way to set a keyboard shortcut, so that I can change my language option by it while typing? I am using MacBook Pro with OS X. 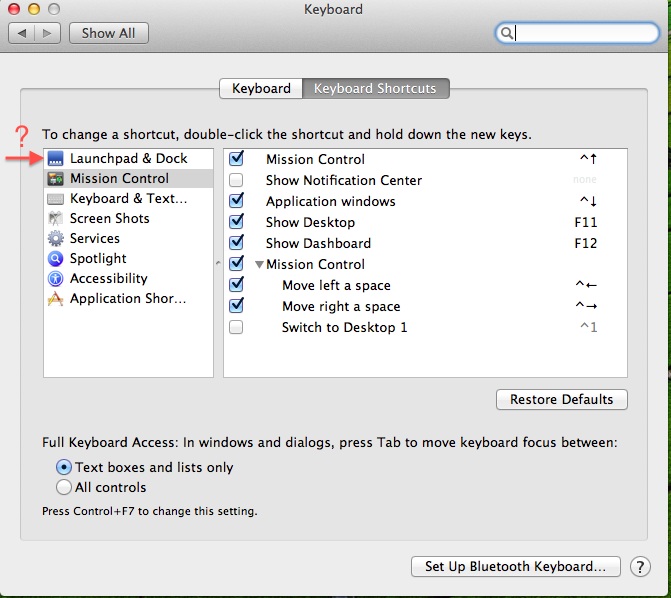 Go to System Preferences → Keyboard → Shortcuts → Input Sources and define a keyboard shortcut there. As you only have two sources, set a single shortcut for one of the options, then pressing the shortcut will toggle the input sources. It allows you map a shortcut to a input method. You can switch to a specific method immediately by you-defined shortcut without using cmd+space to rotate input methods. 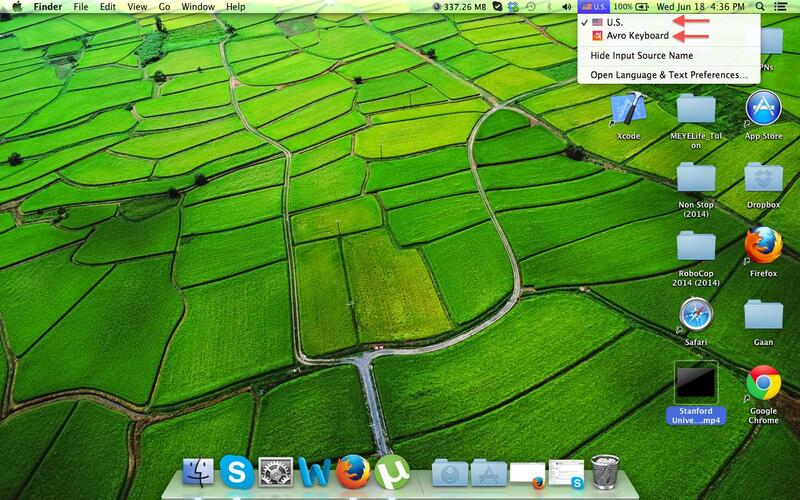 It works well on OSX 10.9 ~ 10.12. If you are using Apple's Bangla keyboard, you can type English by holding down the Option/alt key. If you are using Bangla Qwerty, you can do this by pressing the Caps Lock key. Open System Preference and click language and text instead of keyboard. You can find input source there. Not the answer you're looking for? 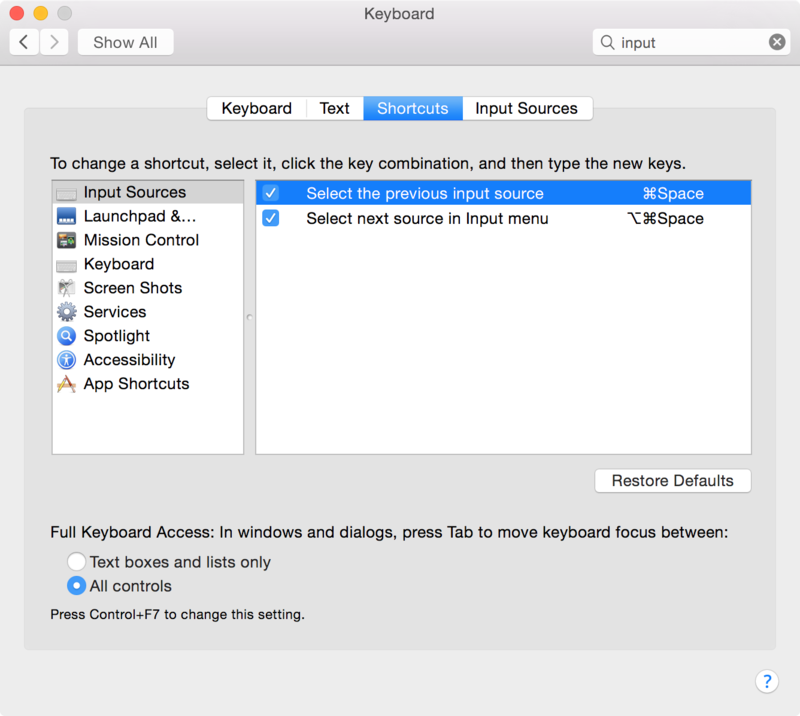 Browse other questions tagged macos keyboard menu-bar text-input input-source . How to change keyboard layout via keyboard shortcut? How to change the input source to different language with shortcut (only one key combination)? What is the keyboard shortcut to set the language for text in MS Word 2011? How can I change keyboard layout in password field in Safari?